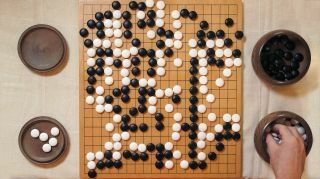 Google’s DeepMind team that specializes in machine learning and artificial intelligence has created an AI called AlphaGo Zero that is able to teach itself the Chinese strategy game Go. Not only that, it can teach itself so effectively that it is able to beat the previous iteration of AlphaGo that successfully beat the world’s best human players. The previous AlphaGo was taught to play by inputting the data of how the best human players in the world played certain moves, effectively creating a compendium of the best players in the world. AlphaGo Zero however, according to the Guardian, learnt completely differently, by being given the rules to Go, and being left to its own devices. Obviously, it started by making some pretty foolish and ill-advised moves, but quickly learnt which moves were more likely to lead to victory, and which to failure. Called reinforcement learning, it sounds pretty similar to how we learn as humans, but just with massive computational power. And that’s what makes all the difference. AlphaGo Zero was able to go from complete amateur to grandmaster in a matter of days. What’s even more interesting is that removing humans from the equation was potentially beneficial to the learning process. AlphaGo Zero was using more complex moves before simpler ones, and even started generating moves that haven’t been seen before by day three. And that means an algorithm that can actually help in a number of real-world applications. The team envision a world in the not-too-distant future where AlphaGo (or its equivalent) will be able to work as a medical assistant. In fact, AlphaGo Zero is now working on figuring out how proteins fold, one of the major scientific challenges of our time.